An elderly man who wants to learn how to read deserves better than sentimentality and oversimplification. Octogenarians are just rubbish? He didn’t get the memo. Did you pay attention in school on the day your teacher told you all about the political situation in 1950s Kenya? You know, the horrible struggles between the British — who were in charge — and the Mau Mau freedom fighters — who wanted independence for the country. No? You don’t remember any of that? Too bad, because the makers of this film, including the British director and the South African screenwriter, assume you know every detail, when it’s likely that the topic never even came up. The problem is that if you’re not familiar with the circumstances, the film’s impact will have no more wallop than any of those uncountable based-on-fact inspirational stories that are supposed to rile us up, then make us feel good about the world. This one introduces us to Kimani N’gan’ga Maruge (Oliver Litondo), an 84-year-old Kenyan and former freedom fighter who, all those years ago, survived unspeakable torture committed by the British. 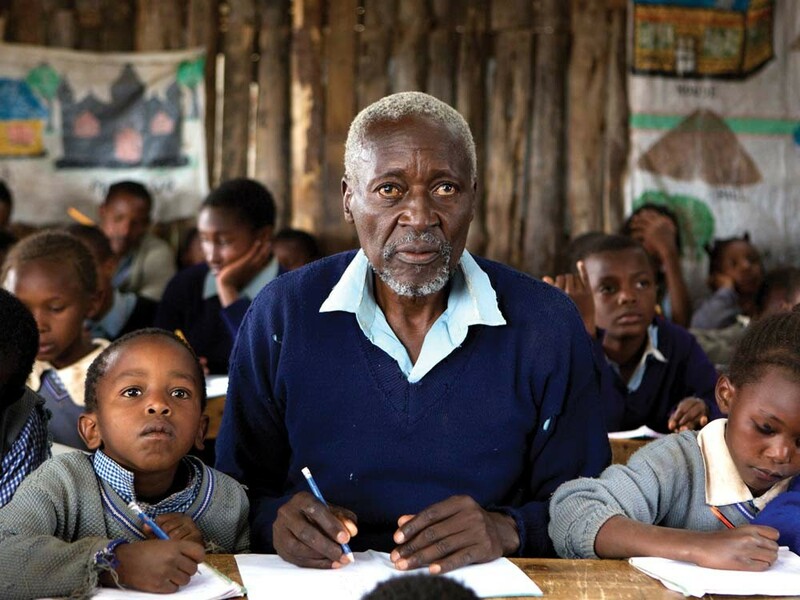 Now eking out a living as a farmer, he gets a letter in the mail, as does every Kenyan citizen, about the government’s new program of free education for everyone in the country. 6-year-olds, and is told he’s too old. He insists the program is for everyone. So he’s told he can’t take part because everyone must wear a school uniform. He goes out and makes one — shorts and all. He gets in, of course, because of kind-hearted and dedicated Jane Obinchu (Naomie Harris), the overworked but tireless teacher who just can’t say no — even when angry parents complain that she cares more for him than for their children, even when the superintendent chastises her for creating bad publicity. This is about underdogs. You could argue that both Maruge and Jane fall under this category. She will fight for him, no matter what the consequences. He will reach for the sky, and we are supposed to cheer for him, because he’s had such a rough life. Some of that rough stuff is shown in gruesome flashbacks. But aside from those few scenes, you know exactly where this film is going, from controversy to a completely predictable ending. This is literally black-and-white storytelling: The black man is the good guy, the white man is the bad guy. We get strong acting that can’t do much to overcome weak writing, and it’s all so precious and “important,” your head will be slightly addled at the end of it. But it’ll be a feeling akin to the aftereffects of sugar shock, rather than one of being emotionally moved.